Ohioans are set to finish the job. In 2015, Ohio voters resoundingly passed an issue to slay statehouse gerrymanders. 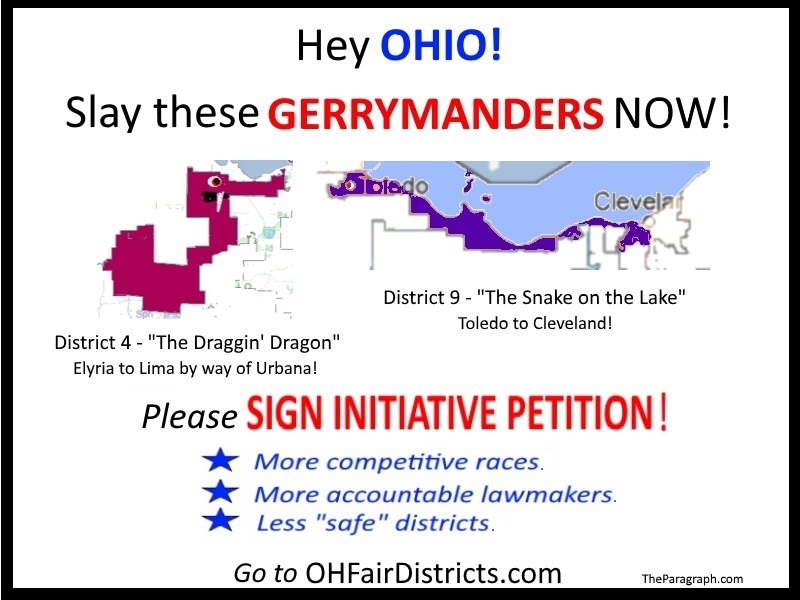 Now many are signing petitions for a ballot issue to slay Congressional gerrymanders. 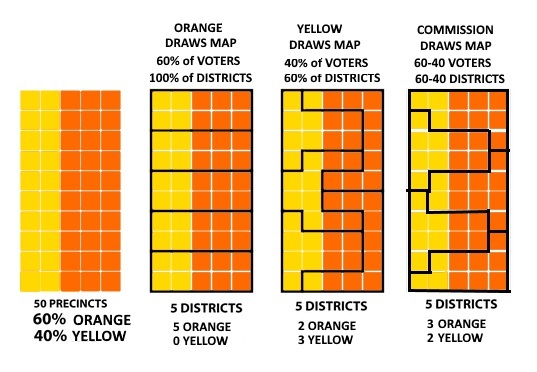 Gerrymanders are irregular legislative districts drawn to favor one political party. The 2015 statehouse anti-gerrymander redistricting issue passed with 71% of the vote. It establishes a bi-partisan commission that must have at least two votes from representatives of each of the two biggest parties to adopt a district map. 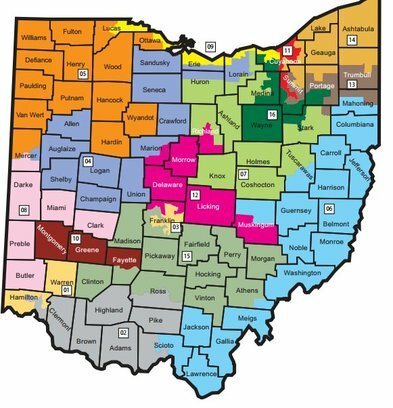 These new redistricting laws will give Ohio more competitive districts and eliminate many “safe” districts. That should naturally make legislators more accountable to the people, and bring out more voters for elections. But it’s not easy to get a citizen-initiated issue on the ballot. An issue must have petition signatures amounting to 10% of the vote in the last governor’s race (305,591). Also, it must have signatures from half the counties (44) amounting to 5% of the vote in each county. To get on the 2017 ballot, the petitions must be turned in by July 5. Should that date be missed, all the signatures collected would apply to putting the issue on the 2018 ballot. In either case, the Congressional redistricting law, along with the statehouse one already passed, would take effect after the census. And the commission’s new district maps would be used starting with the 2022 election. If you want to sign the petition to slay Congressional gerrymanders, watch for tables at events across the state. Also, some signing events are shown on this map. You must be a registered voter to sign. Persons circulating petitions may have voter registration forms, so that you can register to vote, and then sign the petition right after. If you want to circulate petitions, check this list and map of pick-up locations. You must be a U.S. citizen, 18 years of age or older to circulate petitions.